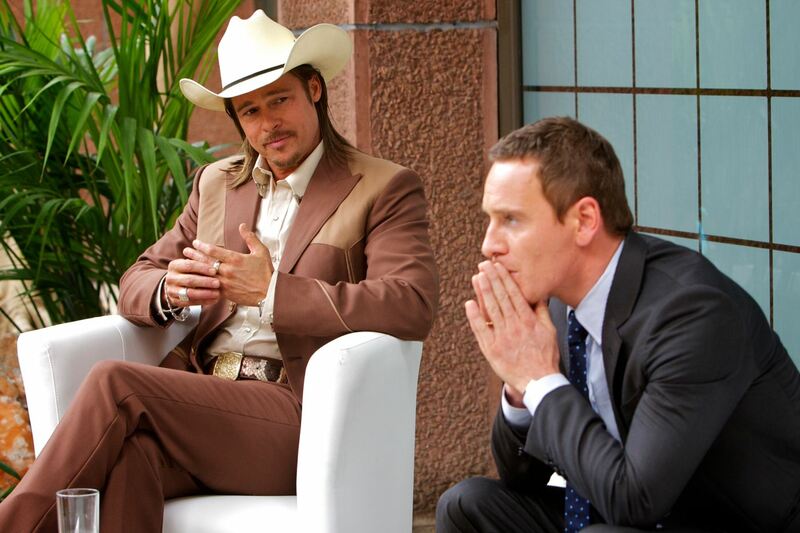 Incoherent to the point of being incomprehensible, Ridley Scott’s new film The Counselor, from a first-time (terrible) screenplay by novelist Cormac McCarthy, represents a low point for both of these highly acclaimed artists. It’s a total mess. Michael Fassbender, seriously miscast (I can really only imagine Matthew McConaughey making anything of this terribly under-written role) plays a lawyer who finds his life going sour when he starts dabbling with the international drug trade. Javier Bardem, Brad Pitt and Cameron Diaz play his three main connections into this shadowy world, each more over-costumed, over-made up and over-acting than the last. Essentially composed of endless, nonsensical two-hander scenes groaning under the weight of unspeakably “literary” dialogue, nothing in the film rings true, makes sense, makes us care, or provides any of the regular dramatic ideals: suspense, humour, let alone… well, plot. The Big Concept here seems to be that Fassbender’s character (who everyone in the film ludicrously calls “Counselor”) doesn’t entirely understand what he’s got himself into, and so, therefore, we the audience shouldn’t get to understand it either. He shuffles from (extremely ill-defined) place to place, always dressed well and always being handed a spiffy cocktail (everyone in the film is always drinking a spiffy cocktail, and wearing evening wear at any time of day, and generally behaving like they’re on Johnny Depp’s yacht) getting lectured by everyone he meets on either the nature of brutality and evil or the outrageous sexual shenanigans of women. Or both. It’s as though, say, every interaction you had with anyone involved them sitting you down and telling you the facts of life plus how often they’ve gotten laid. 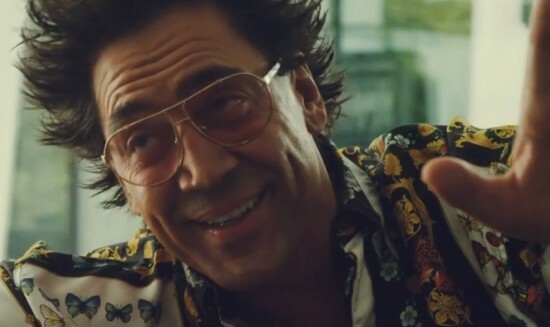 Bardem’s character has the looniest lines of all, but he plays his role so loony and loose that he’s the only watchable thing in the film. Perhaps his drinks – even more than the other characters, he always has a drink – were “quality” props. 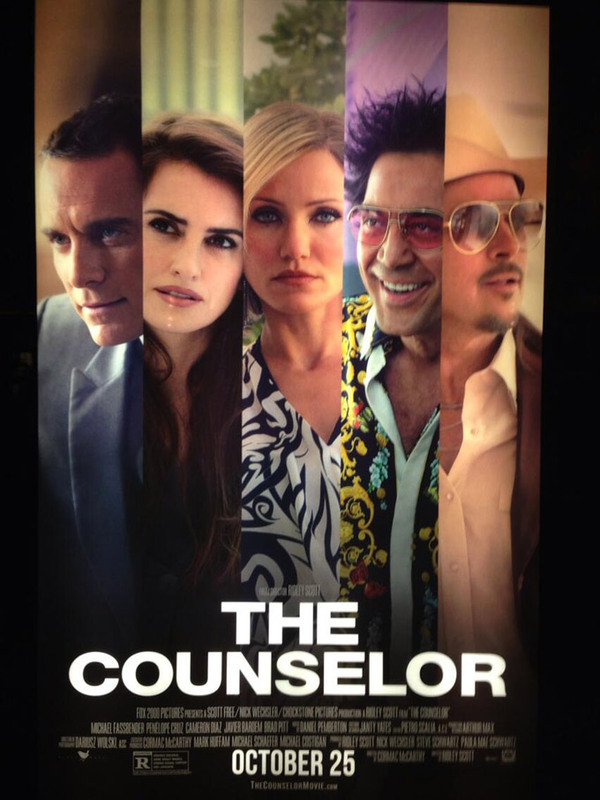 Set in Mexico and the US, with a jaunt to Europe tossed in, but really only existing in the outer realms of ludicrous fantasy, The Counselor seems to want to be a cross between Steven Soderbergh’s Traffic and Oliver Stone’s Savages. Soderbergh and Stone couldn’t make a film this bad if they were in a coma. Flatly shot, terribly acted (Cameron Diaz’s performance is completely ludicrous), uncinematic and not so much confusing as simply not even a story, The Counselor is a very strange beast: an unreleasable film that is getting a wide release. Stranger things have happened, but this is up there. Great review! Always enjoy your reviews!